I was looking on the Internet for performance data comparing Amazon S3 and EMC Atmos. Didn't find any so I decide to do a simple test on my own. 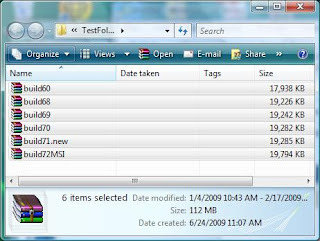 Since Gladinet can mount both S3 and Atmos as virtual folders in Windows Explorer, I created a Test Folder on my desktop of 6 zip files, each around 20M for a total of 112M. then drop them into S3 and Atmos sequentially and time it with a stop watch. My upload speed is around 2.24 Mbits/s. So if the bandwidth is the bottleneck, the upload should be done around 112M*8Bits/2.24 = 400 s ~ 7 Minutes. 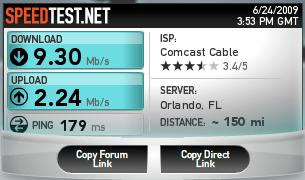 I am delighted to see that my bandwidth is not the bottleneck. It is interesting to see Atmos is faster in my setup. At least it tells me EMC is here for the Cloud Storage game and a little bit of competition is healthy for everyone. Now people can store online data in two different cloud providers. It is good for S3 since it gets more customers that are concerned about single vendor. Vise versa, good for Atmos too. There are many other factors to make this a serious comparison. Treat it as a fun test instead of a serious test. Good news for cloud storage customers anyway.